Of course, you can also add other shredded root vegetables, like beets and sweet potatoes, too. Then, once mixed, scoop a handful of the "batter" into a hot, greased waffle iron and cook until crispy. Serve as is, with yogurt or fried eggs on top. Go beyond breakfast and use like sandwich bread, filling two waffle "slices" with ham and cheese, or the fixings for a BLT. 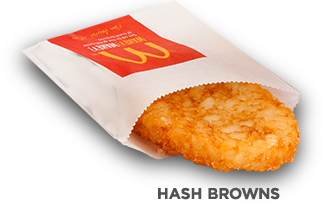 I take my hashbrowns very seriously. Crispy-ness is key and flavor is a close second. Crispy-ness is key and flavor is a close second. If we were really lucky some days before school our parents would take us to McDonalds.